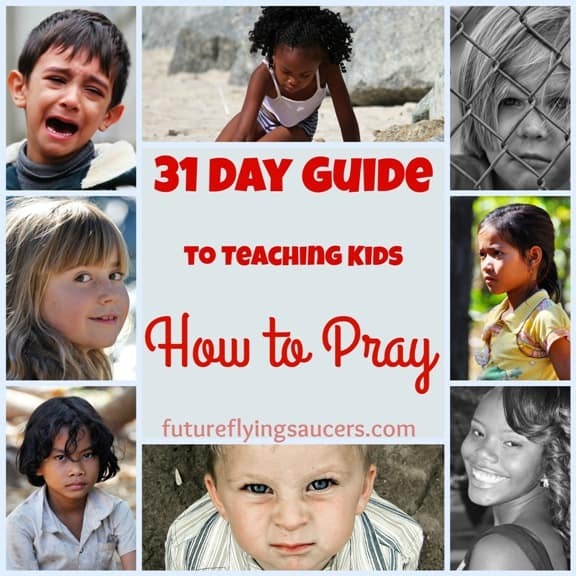 How to Use Prayer Stations with Children | FutureFlyingSaucers. Prayer. 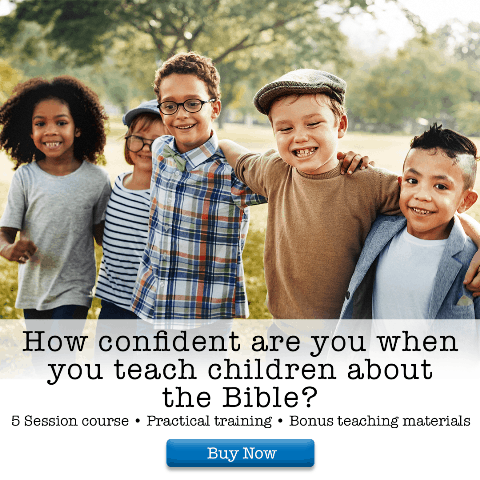 You need it, your kids need it. Like water to our very souls, the importance of prayer cannot be overstated. 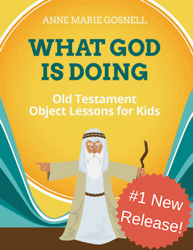 But how do you keep kids engaged in praying, more than rote words or “God bless my puppy”? Sometimes, you need to do something different to engage their senses and spark their minds. I have found that Prayer Stations are helpful to show kids ways to pray and to keep them focused. 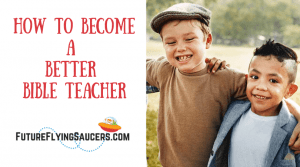 I have used them with great success with ages from preschoolers through adults. Prayer Stations are hands-on activities that help you focus on talking to God or listening for His voice. They are usually very simple, but surprisingly effective. 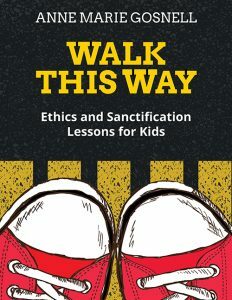 The most important thing is to start by talking to your kids about what prayer is and isn’t – talking and listening to God, as opposed to saying fancy words or a wish list for God to perform. I find that creating a different ambiance helps set the mood. Lower the lights, if you can, and play some soft music. Let them know that this is a different sort of activity that is intended to be reflective and quiet. Prayer Stations can be set up many ways, depending on your needs. 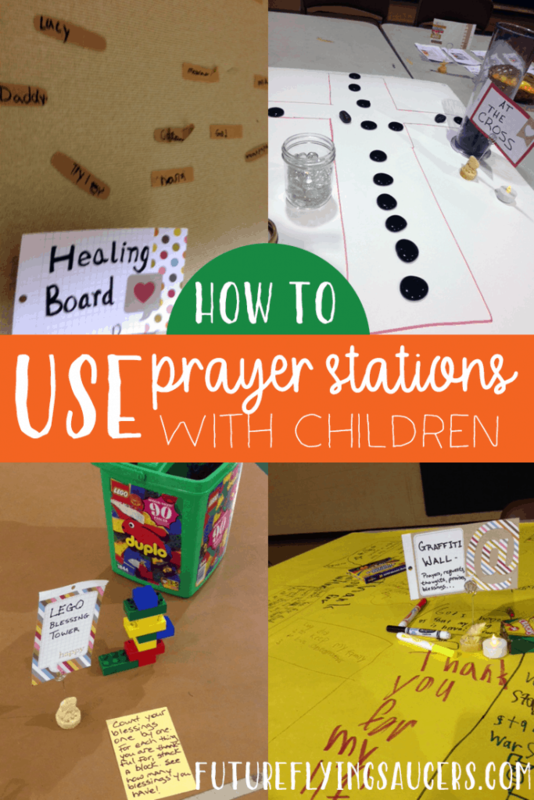 You might use a corner of your Sunday school room and have a different prayer station each week. 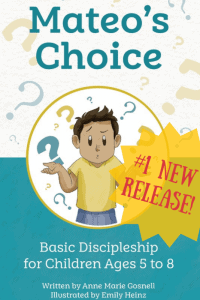 You might have a prayer emphasis week at your midweek program or children’s church, and have many stations set up spread around a gym or large group room. You might have the luxury of having a separate room for prayer, and set up different stations in there each week. The main thing is to separate the stations from your usual lessons and activities, making it something special. If you want to do this with your own children at home, it’s a similar idea. Have a set apart area for it, set the mood, and talk to them about what you are doing first. You can set up a corner of a room, or make a literal prayer closet. Or you can put different prayer stations in various rooms in your house, and have them travel to each one. A great adaptation for the prayer stations is to do them outside. Have special spots set up in your yard or church campus, and add a time of just closing their eyes and listening to God’s world around them. Even more fun, set up your stations outside at night! Place small lanterns at each station, so they can see the directions. Have a station for stargazing, thanking the Lord for all the beauty He has made. If you have lots of kids, you will need lots of stations. They can be divided into very small groups and travel from station to station. They don’t have to go in any order, just move to another station that is empty. There is no time set for the stations. There should be no pressure to whip through the stations to do them all. The main thing is to be intentional about meeting God, not just doing an activity. Prayer Stones – There is a box of little glass pebbles that have words written on them in Sharpie. 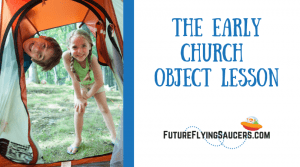 The kids look through the stones and build a prayer using whatever words they want, putting the stones out in front of them in a row. Then they pray that prayer, adding anything that comes to mind . Graffiti Wall – A large roll of butcher paper is mounted on the wall. They use markers to write/illustrate prayers, praises, thanks, concerns. Healing Wall – A poster board is mounted to a wall and a large box of Bandaids is provided. 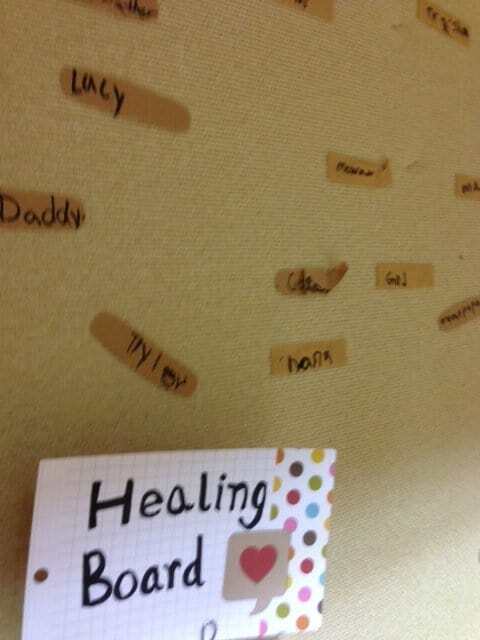 Kids will write the names of people who need healing on the Bandaids, then stick them to the poster board. 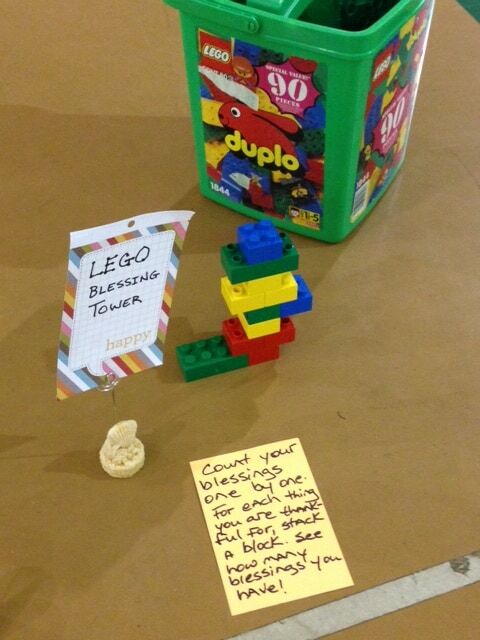 Count Your Blessings – Kids stack Legos, or Duplos, thanking God for a blessing with each one. 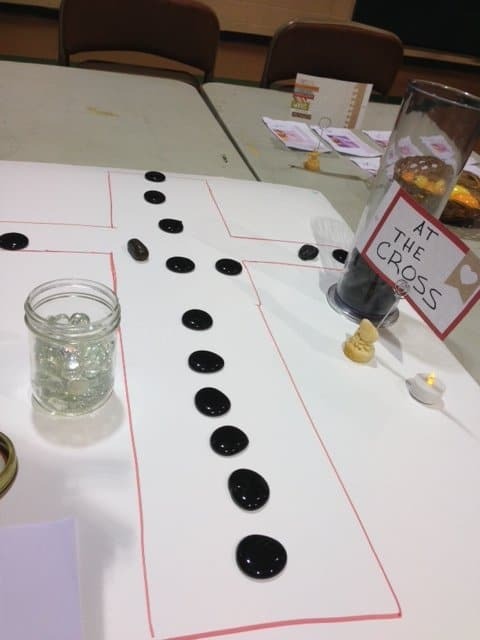 At the Cross – Draw a large cross on poster board or butcher paper. Have a bowl of black rocks and a bowl of clear glass pebbles on the table. They are to take a black rock, which represents their sin, hold it, pray, and confess their sins to God, then look at the cross and thank Jesus for the forgiveness that he gave us. Then they place the black stone on the cross and take a clear pebble with them, to show that they have been made clean and forgiven of their sins. There are tons of Prayer Stations on Pinterest, and with a little thought it is not too hard to make up your own. Look at things you have on hand and see how God prompts you to use them. 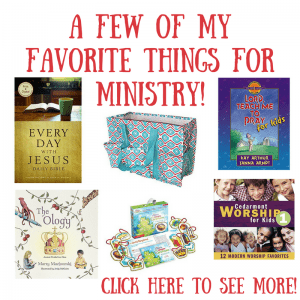 These stations can be just as meaningful for adults as for kids! Have your volunteers go through the stations before the kids do, or if you’re a mom at home with kids, set up and go through the stations yourself the night before. Pray for your kids as they go through these activities that God would meet them where they are, and that prayer would become an important part of their lives. I promise to pray that prayer for those of you reading this – God bless! Choose one of the activities above, or visit the FFS Pinterest Board below. 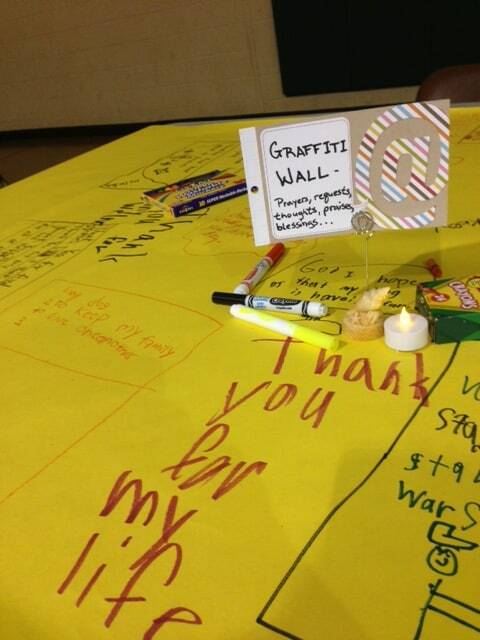 Create a prayer station. 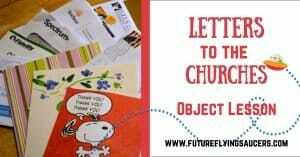 Follow Future.Flying.Saucers.’s board Children’s Ministry Ideas on Pinterest. 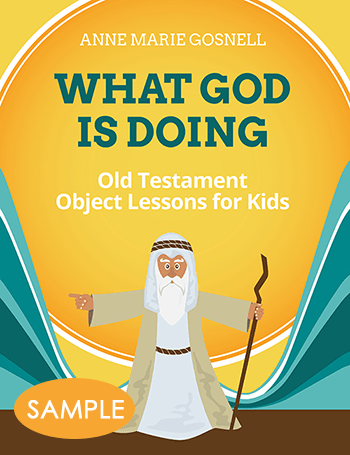 Encourage your children to think about all of the many ways they learned how to pray during this Prayer Series. Prayer Stations are a wonderful way to watch your children and see what they apply to their prayers. Then keep on keeping on. 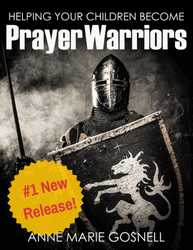 They are on their way to becoming Prayer Warriors!! 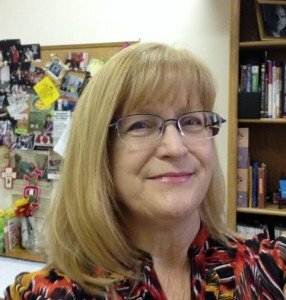 Joy Feemster is a 20 year veteran of Children’s Ministries, currently Director of Christian Education at Neely’s Creek Church in Rock Hill, SC. Her passion in life is pointing people to that “1 Thing” relationship with Jesus Christ. (Luke 10:38-42).